Chant – A – Mantra (6): Take Away Your Hindrance to Success, Wealth and Peace By Chanting the Mantra of Cundi Avalokitesvara! 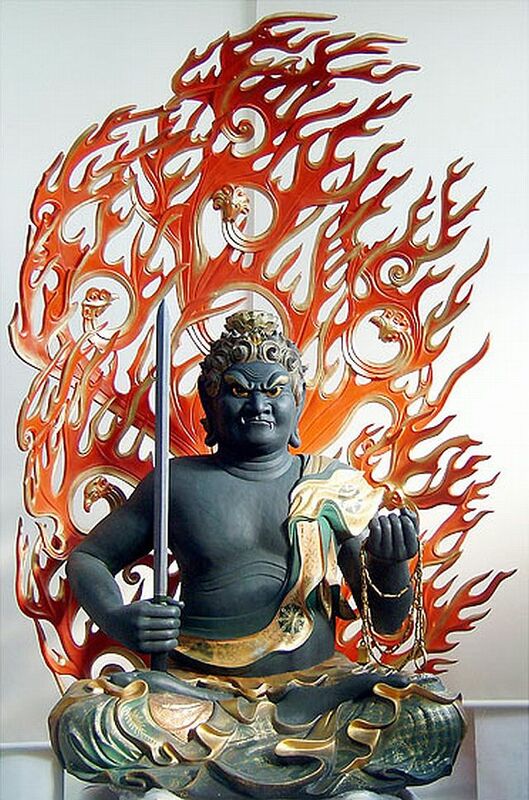 One of the most powerful mantra is the Mantra of Cundi Avalokitesvara (also called Chundi Avalokitesvara or Cundi Kuan Shi Yin or Chundi Kuan Shi Yin), who is another manifestation of Bodhisattva Kuan Yin (Guan Yin). 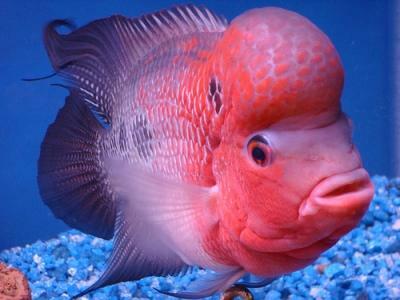 His/Her mantra is actually called a Dharani because it is quite long for a mantra. 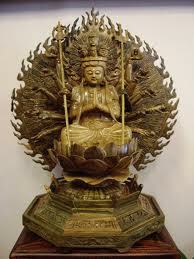 Cundi Avalokitesvara is depicted with 18 arms or hands each carrying an implement of significance. 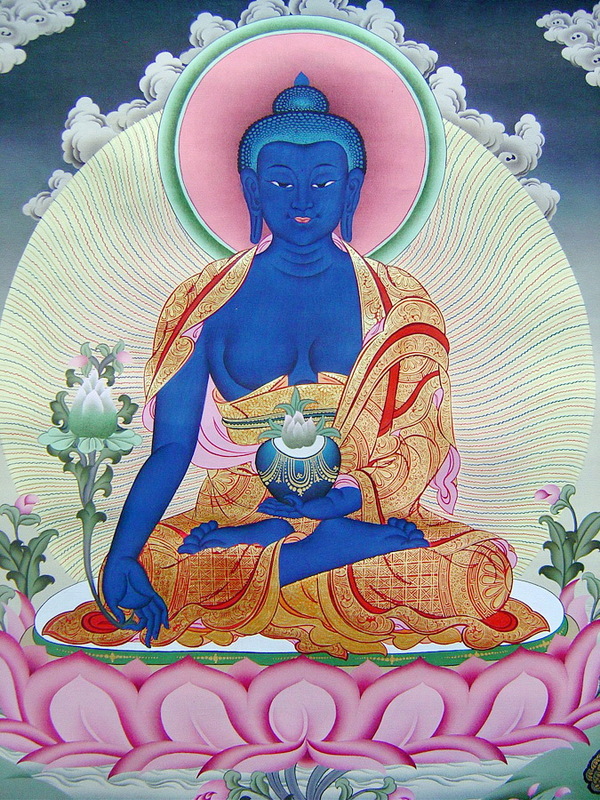 In the sutra –THE BUDDHA PRONOUNCES THE SUTRA OF THE GREAT CUNDI DHARANI : THE HEART OF THE MOTHER OF SEVEN KOTI BUDDHAS- Sakyamuni Buddha (Shakyamuni Buddha) extolled on the various benefits of chanting the mantra of Cundi Avalokitesvara. 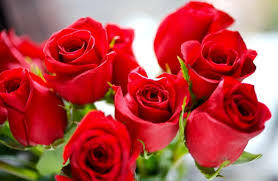 Some of these and more significant of these are for success, and for taking out problems and thus it will lead to peace. For me the highlight of these benefits is the fact by chanting the mantra of Cundi Avalokitesvara 600,000 times under deep meditation, one is able to tap into the power of Bodhisattva Vajrapani or Goddess Tara or Bodhisattva Kuan Yin. In fact, the word that Buddha used is to see Vajrapani Bodhisattva or Goddess Tara or Bodhisattva Guan Yin, my Guru Lama clarifies that although this is really possible, most likely what the Buddha meant is that one is able to see and understand the awesome power of Vajrapani Bodhisattva or Goddess Tara or Guan Yin Bodhisattva. It is extremely good when chant this mantra when one encounters hindrances to financial success or even career or personal success. My Guru Lama says chanting this mantra before chanting the mantra of Bodhisattva Vajrapani, while holding the Vajrapani Ruel on your receiving hand, will definitely make the Vajrapani Ruel even more powerful and effective. Furthermore, it is said that the Mantra of Chundi Avalokitesvara is also a mantra that has been chanted or pronounced by the Buddhas of the Past, Buddha of the Present (Buddha Sakyamuni) and Buddhas of the Future (starting with Maitreya Buddha). 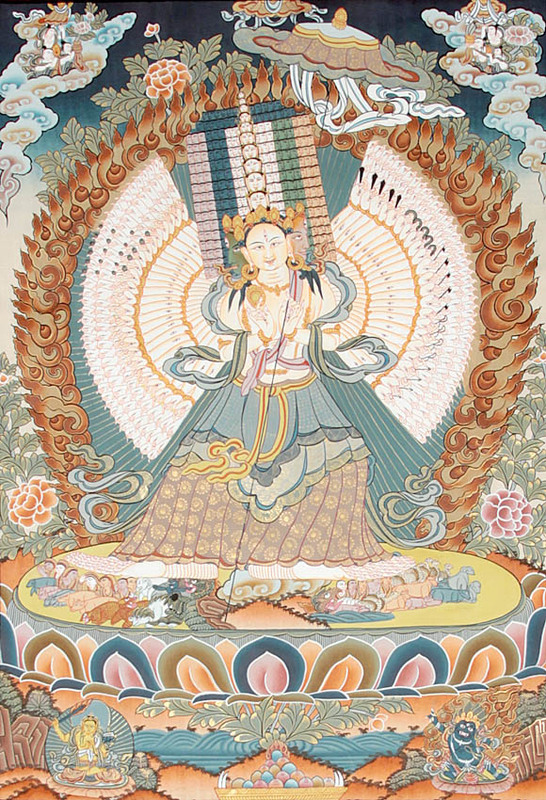 In the next few posts I will talk more about the Mantra of Cundi Avalokitesvara and I will write about her powerful oracle, and the ritual to summon Bodhisattva Vajrapani thru the chanting this mantra. NAMO SAPTANAM SAMYAKSAM BUDDHA KOTINAM TADYATHA OM CALE CULE CUNDI SOHA. Yes! I chant a lot of mantras everyday. And while at first it might seem quite tedious once you get the hang of it, it will be quite easy to chant even if there are a lot of mantras to chant. But don’t get me wrong, when I say quite easy it will still take you some time, and it is perfectly worth it to invest some time everyday because the blessings that we receive simply by chanting mantras is quite enormous. It is more powerful when one chants it under deep meditation, at a level where you are almost unaware of your surroundings. However, needless to say, mantras are powerful and depending on your faith simply uttering it a few times is bound to give you some blessings. How much more if you chant it 108x everyday! NAMO DANG LIE XIA XIENG MI LO CHUN FO and OM MAITRI MAHĀ MAITRI MAITREYA SOHA (Mantra of the Future Buddha, Bodhisattva Maitreya) – Chanting the mantra of the Future Buddha, Maitreya Bodhisattva, who is also known as the Happy Buddha would shower with blessings of health and wealth. 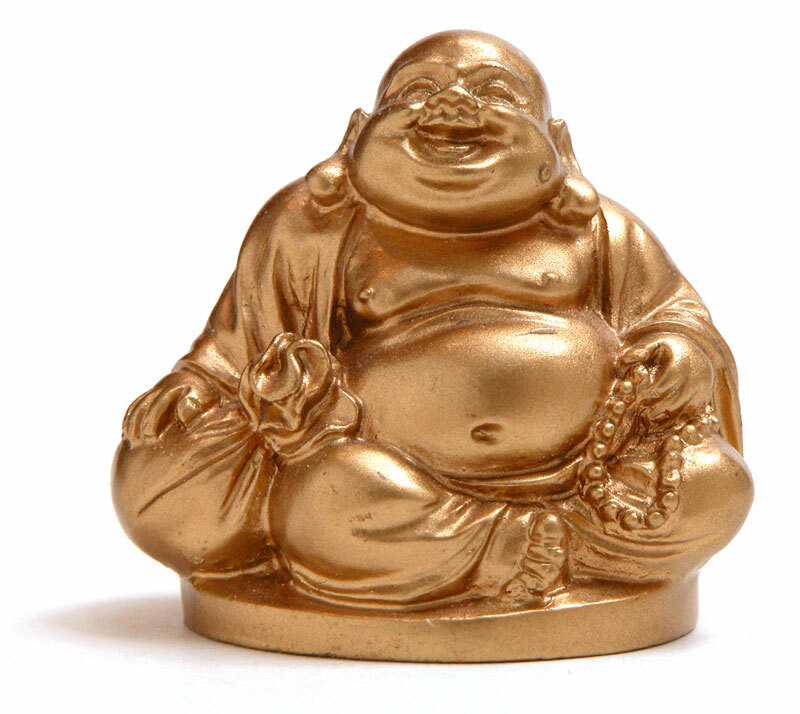 To understand him better you can read my post about him entitled: THE HAPPY FAT BUDDHA: A REPRESENTATION OF MAITREYA BUDDHA’S BLESSINGS. OM TARE TUTTARE TURE SOHA (Mantra of the Swift Liberator, Goddess Tara) – Chanting the mantra of Goddess Tara is really good specially when you encounter a lot of problems, because she is considered as the Swift Liberator because she liberates us from sufferings. To understand more about Goddess Tara please read the following articles: GODDESS TARA: THE MOTHER OF SWIFT LIBERATION and PAYING HOMAGE TO GODDESS TARA. OM DZAMBHALA DZALIN DRAYE SOHA (Mantra of the Buddhist Wealth Deity, Yellow Dzambhala) – Chanting the mantra of Yellow Dzambhala will shower us with enormous wealth blessings. To understand Yellow Dzambhala, you can check out the article I have written about him entitled, INCREASE YOUR WEALTH BY PAYING HOMAGE TO YELLOW DZAMBHALA! In my preceding post, which is also the 1st part of this post, I talked about what I call the ‘Fifteen Merit Days’ that will happen on Feb. 8, 2016 to Feb. 22, 2016. As mentioned in that post, it is very rarely that the Chinese New Year and Tibetan New Year will happen at the same time, and because of this it created a special Fifteen Merit Days that can help protect us from the ill effects of the year and also create good karma for us. Any good deeds are going to be have doubled or tripled merits. But today, allow me some of the traditional way to earn merits on the said 15 Merit Days. To do all these, it usually takes me 2 hours to finish all. You can omit some of the mantras or sutras mentioned on the list. However, remember the more you are able to do the more merit you’ll get. I especially recommend this to people who are sick or have a family who are sick and people born under the sign of the Ox and Tiger and also those who stay in the Northeast. It will also be good if you can make vegetarian and fruit offering in the temple, as well as light and incense offering. Prostrating in front of an image of a Buddha or Bodhisattva will also likewise add some merits. Please note that you can add other mantras or sutras. Especially the Mantra of Goddess Tara, Yellow Dzambhala, and Maitreya Buddha. 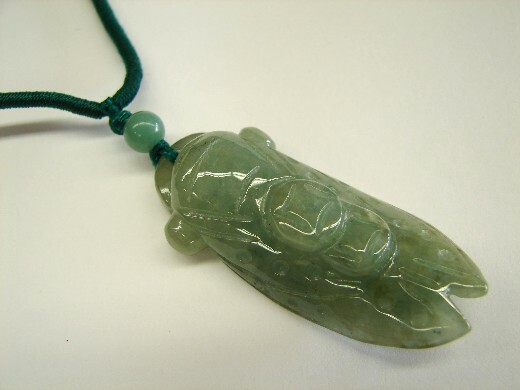 A Reader Experienced A Goddess Green Tara and Cundi Avalokitesvara Miracle! Today, allow me to share with you a story shared with me by a reader, I’m posting it here verbatim. I have experience Green Tara’s effect within me like keep me calm from my fears and protect me, but I never thought Green Tara will manifest. This past July 2015, I worked at a local public school and my goal was to commit for 1 year. I ended up working 1 year and 8 months. I work with at-risk children and this means they live in a neighborhood with great financial help from tax-money related programs and housing assistants. These students I work with are grade 2-5 with family background that does not make a perfect family. The summer 2014, I began to chant more frequently and create time to chant, due to a aggressive curse. I added more mantras as I learned from a contact through a website. I found your blog in December 2014 and I saved it on my tab to visit twice a week and sometimes everyday. I learn to know when to chant for situations. One day in July, I felt something suspicious and did not want to deal with my supervisor’s way of using his authority power and sending negative energy to me. I work with at-risk kids and they are very expressive, if they found out an adult doesn’t believe in God, then they will tell the adult “you’re going to hell.” The kids will create “problems” along with my supervisor and then I get written up for not able to control the students or mishandling the students. So back to July, I chanted the 4 mantras the morning before I go to work (usually I chanted 5-8) Around lunch time (before lunch) my left leg felt different and I felt like chanting plus a little wind blew on my hair in a classroom with sealed windows, no way of opening. I felt something suspicious in the classroom that I was monitoring and few kids went outside the classroom to cause chaos. I chanted Green Tara & Cundi to make sure I feel safe because I overheard my supervisor did plan something on me if I were to give any answer and no answer at all. He came in the classroom, asked me 2 questions and I answered appropriately. Then he took 2-3 few steps where the light hit his feet. 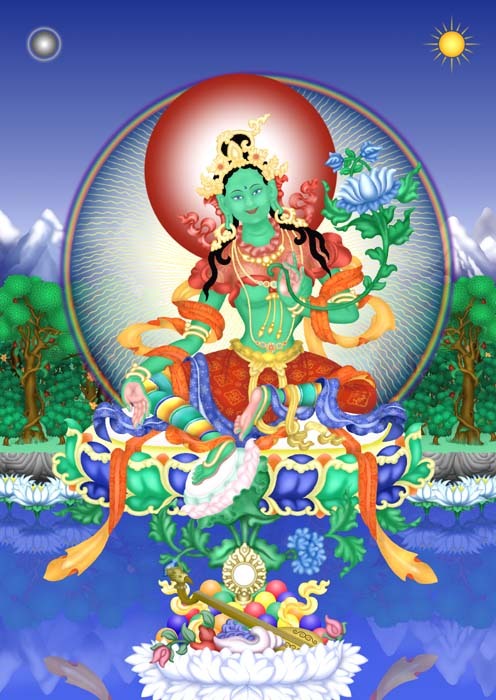 I saw a shadowy figure of Zhunti/Cundi because of the arms and I saw Green Tara with the sword. 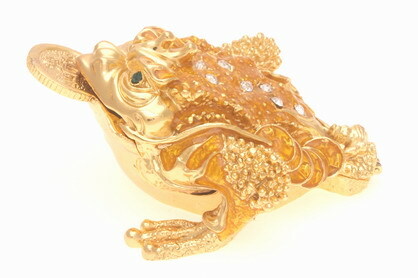 I don’t know if it was just Cundi because I saw a fainted gold color. I felt there was a wall of barrier preventing my supervisor to send dark energy to me, then about 20 seconds later he walked outside the classroom. When the shadowy figure came, the lights in the classroom got brighter. I believe all of us can experience some miracle as long as we open our hearts to it. And this is what exactly happened to AT. 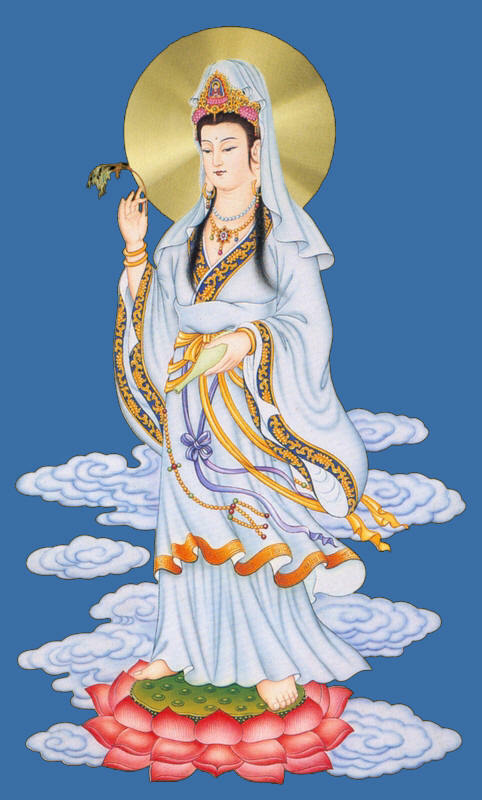 Cundi Avalokitesvara is another manifestation of Avalokitesvara or Kuan Yin.